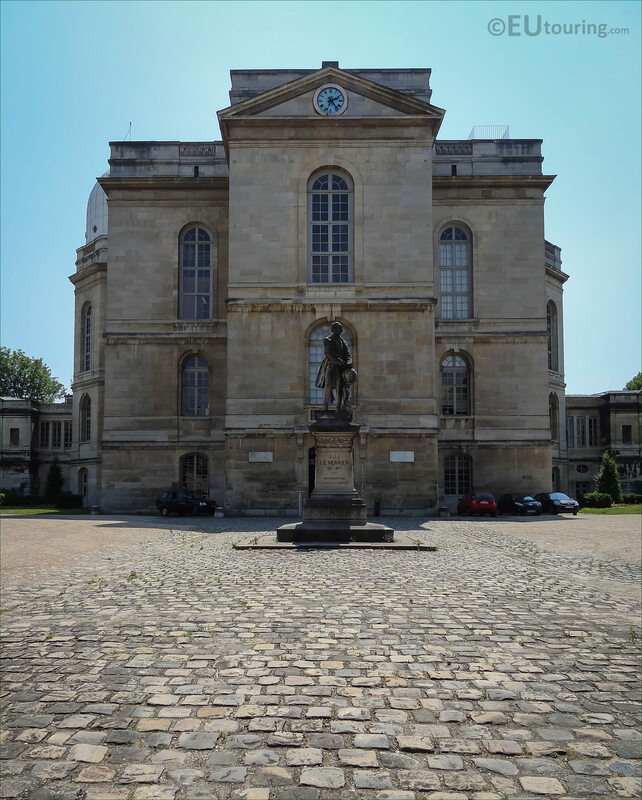 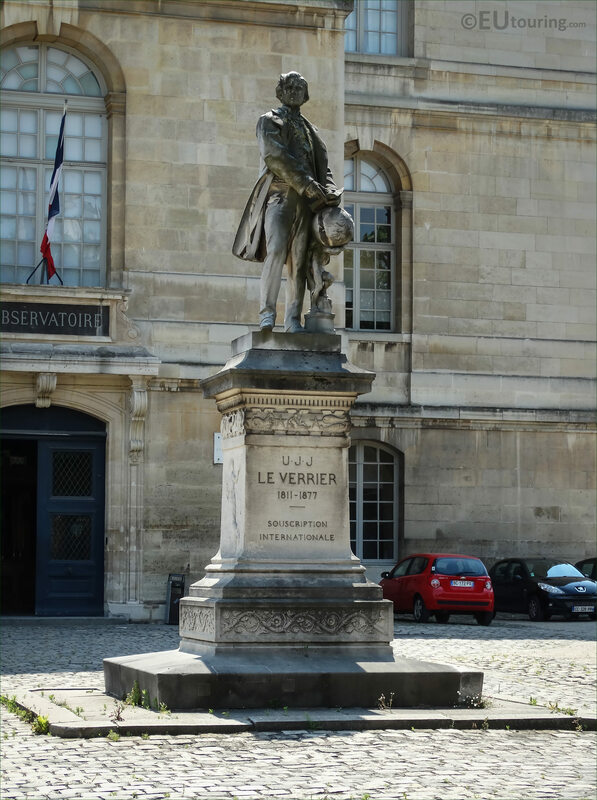 It was while we were walking past the Observatoire de Paris, which is a famous tourist attraction located in the 14th Arrondissement and the oldest observatory still in operation, we took these HD photos of a statue dedicated to U J J Le Verrier, who discovered the planet Neptune. 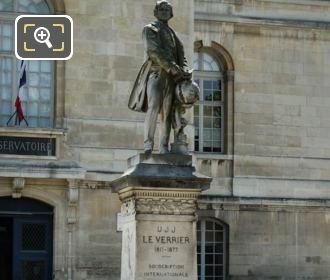 In this first high definition photo you can see the statue of Le Verrier, which was produced by the French sculptor Henri Michel Antoine Chapu, who was born in the September of 1833 and passed away in April 1891, and he was well known for utilising allegory within his works, winning the Prix de Rome in 1855 and being awarded the Legion of Honour. 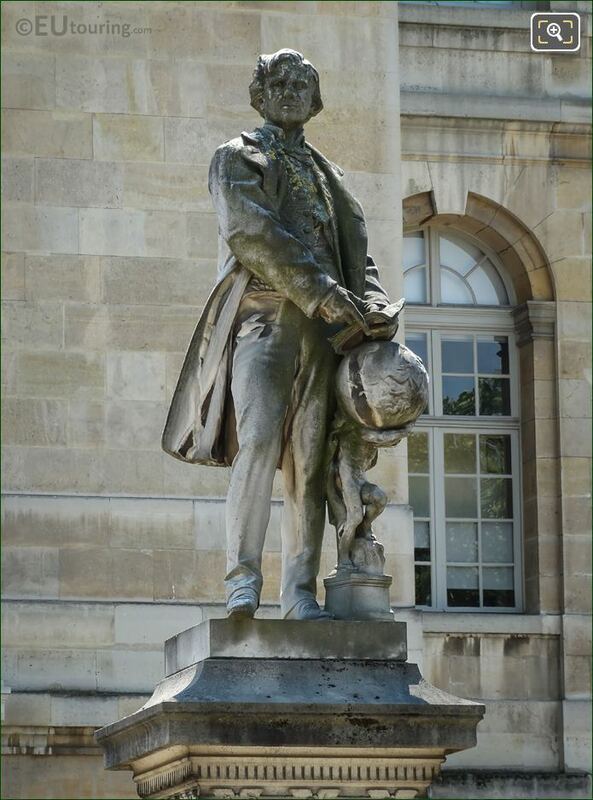 And in this next image you can see the whole statue including its ornate base, which is dedicated to Urbain Jean Joseph Le Verrier, who was a mathematician specialising in celestial mechanics, and this monument was inaugurated at the Observatoire de Paris on Thursday, 27th June 1889, with different speeches conducted in the presence of M Fallieres, who was the Minister of Public Instructions of Fine Arts. So in this photograph you can see the ornate carved base of the statue, which was actually designed by Lucien Magne who was born in Paris in 1849 and became an architect specialising in French religious buildings, yet he was also married to Lucille Le Verrier, who was the daughter of the astronomer U J J Le Verrier for whom this monument is dedicated to. Now, Urbain Jean Joseph Le Verrier was born in March 1811 and studied at the Ecole Polytechnique, and for a short while studied chemistry with Gay Lussac before switching to astronomy, taking a job at the Paris Observatory specialising in celestial mechanics, and he is most well known for deducing the existence of a new planet, and he sent his calculations to an astronomer in Berlin to verify its existence, which was confirmed and the new planet found was named Neptune. 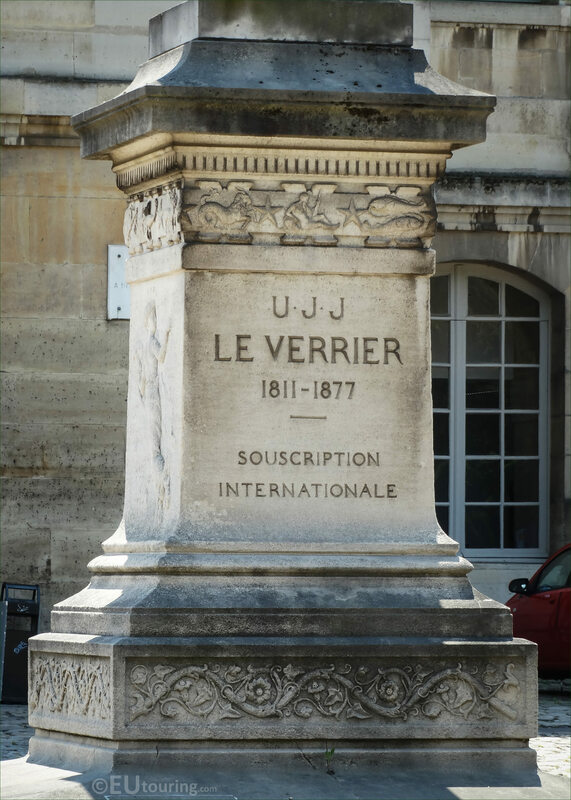 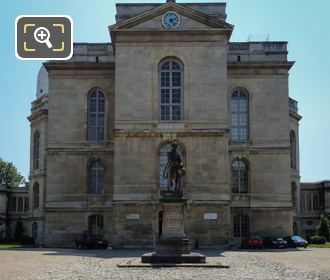 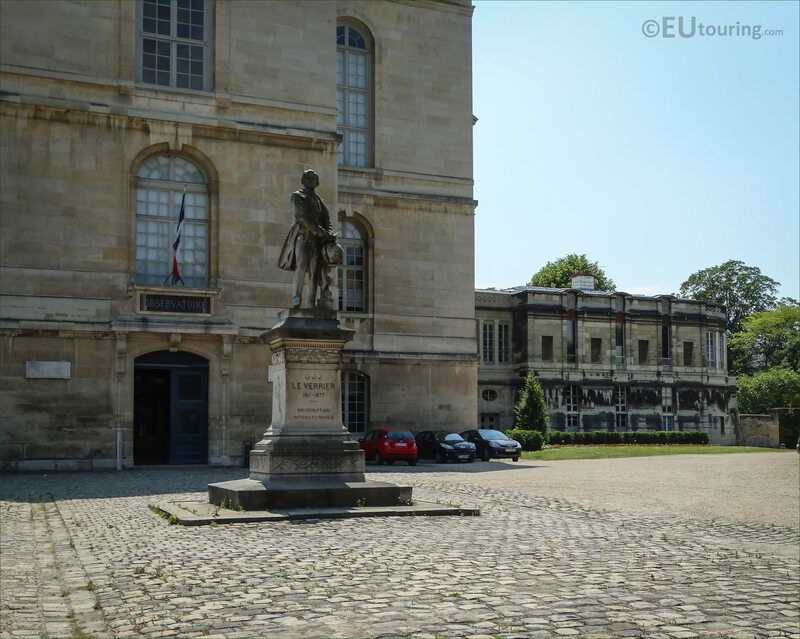 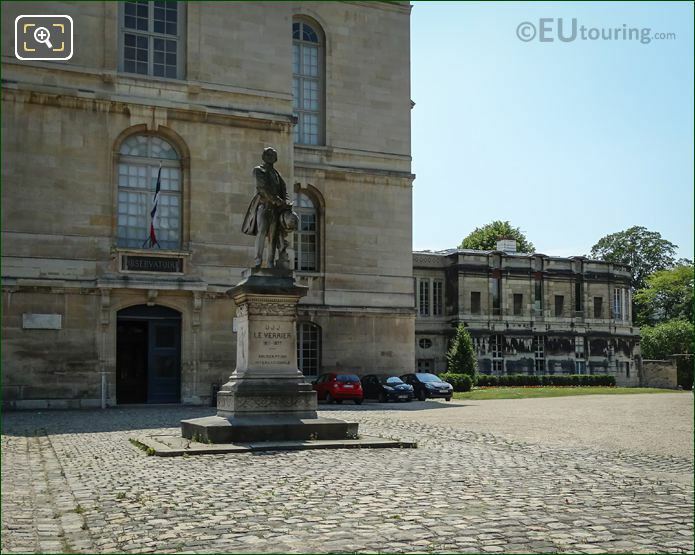 And in this last image, you can see the monumental statue of Le Verrier in the courtyard in front of the Observatoire de Paris, which is where Urbain Jean Joseph Le Verrier spent the majority of his working life, becoming its director in 1854 through to 1870 and then from 1873 until he passed away in the September of 1877, yet is still remembered today with craters on the moon and Mars along with an asteroid and a ring of Neptune named after him.